Are you feeling overweight, tired, or simply unhealthy? Tried to lose weight with limited success? You are not alone. Millions of Americans are caught in a culture plagued with fast food options around every corner, poor eating habits, a general lack of activity, high stress environments, insufficient sleep, and a “sick-care” health system. In this nonsupporting environment, it is no wonder that two-thirds of Americans are overweight. The predicted health of future generations is even more uncertain. As your Certified Health Coach I will guide you through life style changes starting with how you eat, what, when, and why. I provide on-going personal coaching to help you through transitions and aha’s. I have tried a variety of options to lose weight and keep it off. Some healthy. Some not so healthy. Thankfully, I have found a program that helped me to successfully loose 80 lbs and have kept it off for over 5 years. Many of my clients say I give them a sense of hope knowing together we will keep you focused on your long-term goals. This program helps clients release 2-5 lbs the first two weeks and then steadily release 1-2 lbs of weight for long term success. There are three phases: Weight loss, Transition and then Maintenance plan. Throughout this process, I will serve as your mentor, educator, coach, and friend. My clients include overwhelmed business people, physicians, busy moms, and stressed out students who have as little as 10 lbs. to lose up to 210 lbs. or more. The simplicity of the this program fits into the busiest of schedules! If you, or someone you know, needs a program that is simple, healthy, sustainable, and affordable and if you are READY to get healthy, then I would be delighted to have a conversation with you! Whether your goal is whole food eating, or a more simplified initial approach at eating healthfully combined with personal coaching support to help you lose weight and keep it off, contact me. The approach I am referencing is not a diet. It’s not surgery. It does not include medication. 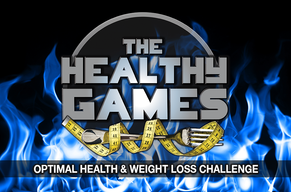 It is a program that allows a life style change approach for weight loss and maintenance! Let’s set your weight loss and optimal wellness goals and make them happen!